Are you still wondering what to make for Thanksgiving or bring to a dinner party? 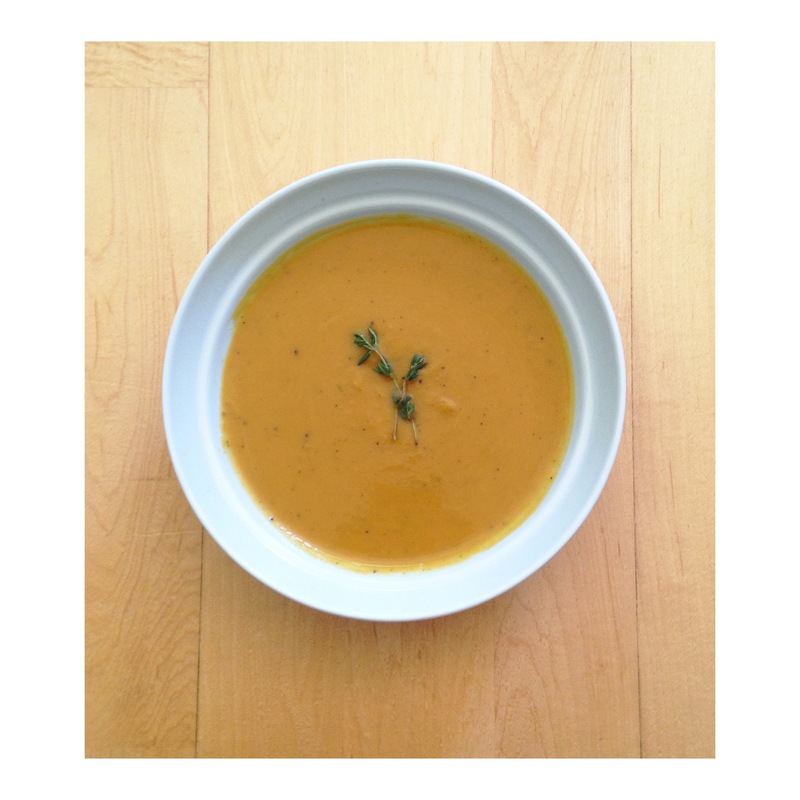 Butternut squash soup is a perfect dish to serve before a meal. It’s perfect for the holidays.. it’s warm & hearty. Below is an easy recipe to follow. I did things differently though. I roasted butternut squash cubes (Trader Joes has bags of them!) in the oven with sprigs of thyme, olive oil, salt & pepper. And instead of an immersion blender, I used a regular blender to blend everything. But I would like to get one of those fancy blenders someday. You always need a little presentation so finish off the soup with some thyme on top. It would be cute to serve in mugs too! (like this: http://www.mybakingaddiction.com/butternut-squash-soup/) Have a happy Thanksgiving everyone! carefully purée in batches in an upright blender.